HRH Prince William of Wales and Miss Catherine Middleton have selected Hugo Burnand to be their official photographer at their wedding on the 29th April. Mr Burnand will be take the official photographs at Buckingham Palace following the wedding at Westminster Abbey. 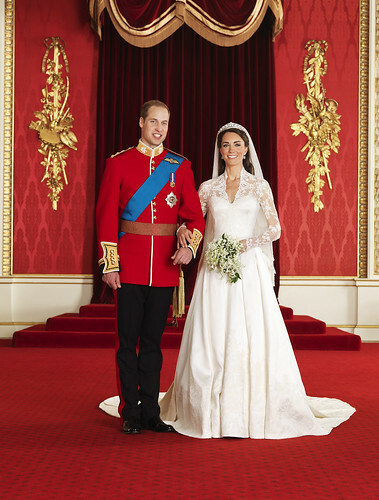 Mr Burnand has photographed Prince William privately before and was the official photographer at the wedding of The Prince of Wales and The Duchess of Cornwall 2005. He also took the official 60th birthday photograph of The Prince of Wales. A well known portrait photographer, Hugo Burnand has also photographed Lucien Freud, Lady Thatcher, Victoria Beckham and John Magnier. Mr Burnand regularly works with Conde Nast Publications including House & Garden Magazine and Tatler. Born in 1963, Hugo is married to Louisa and they have four children. Hugo learnt the basics of photography from his mother Ursy, who used to turn their kitchen at home into a dark room in the evenings and started with his first camera at age of seven. He attended Harrow School and after spending 10 years travelling through America, France and Ireland as a stable hand and a brief job at Lloyds of London. Hugo became a photographer's assistant to Julian Calder. Hugo later set up his own studio in Notting Hill.